The different calibres, fabricates, ammunition and telescopes have always been a point of discussion amongst serious hunters. Any caliber in the .270-.375 range. Bring a minimum of 50 rounds of premium ammunition per rifle. A good quality scope between 3-9 power is essential. Choose a rifle with which you are confident, comfortable and can accomplish good groupings at the shooting range. Choose a rifle that is not too heavy to carry for walk and stalk purposes. Choose a rifle that doesn't have a bad recoil because it definitely influences one's shooting ability negatively, after a few days of hunting. Practice as often as possible before the hunt commences at a shooting range, from a sitting position and also standing, using a bipod. These two styles are most frequently used when hunting with Noorsveld Safaris. We make use of shooting sticks but it is advisable to practice and familiarise shooting with a rifle in various positions (sitting, prone and off-hand) before your safari. Use good and clear telescopic sights and quality mount rings on one’s rifle. It is advisable to bring an extra scope. Use a strong shock-resistant rifle case for transporting rifles. Rifles can be hired. Please refer to the trophies and rates page. 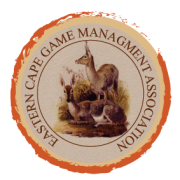 Because of the variety of terrains in the Eastern Cape, shooting distances range between 50 - 200 yards (183 – 275 metres). Long range shooting is sometimes required when hunting certain species. It is therefore recommended to practice shooting one’s rifle from tripods (sitting and standing position) at 100 - 350 yards (92 – 320 metres) in order to get an idea of the rifle’s performance as well as the bullet drop on the different distances.